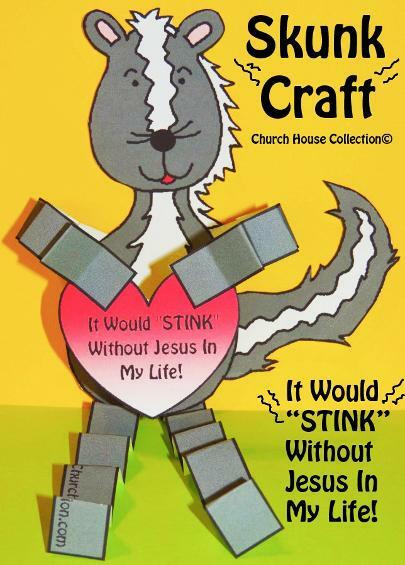 Skunk Valentine Craft-It Would "STINK" Without Jesus In My Life! 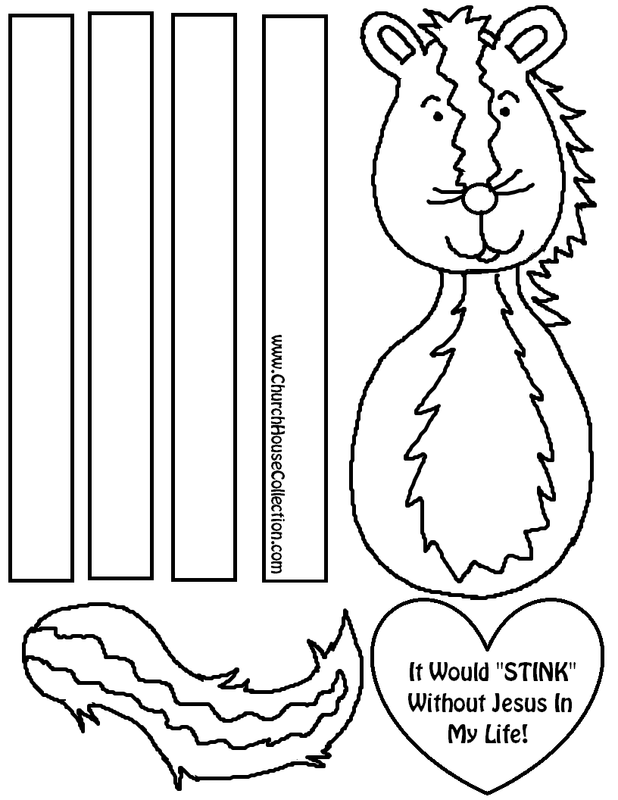 It Would "STINK" Without Jesus In My Life! 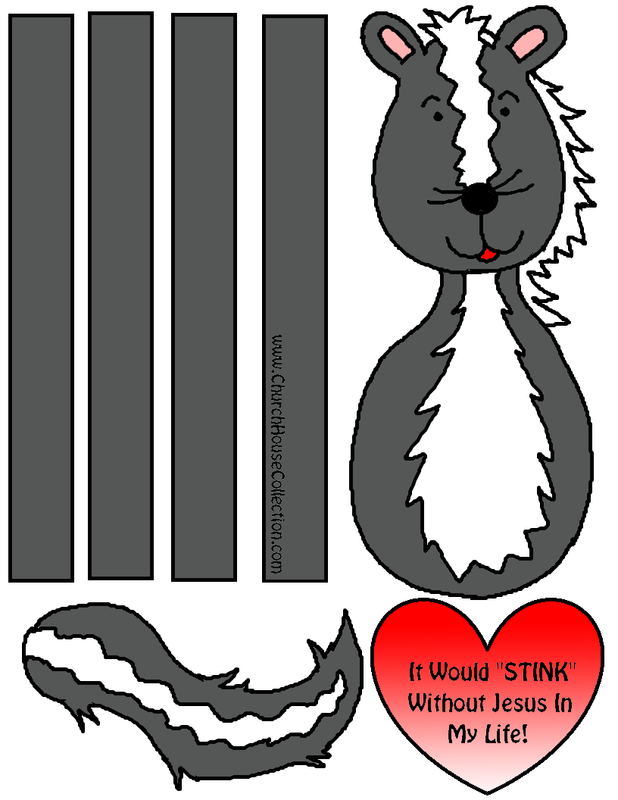 First pick the skunk template you need and print it out on card stock. 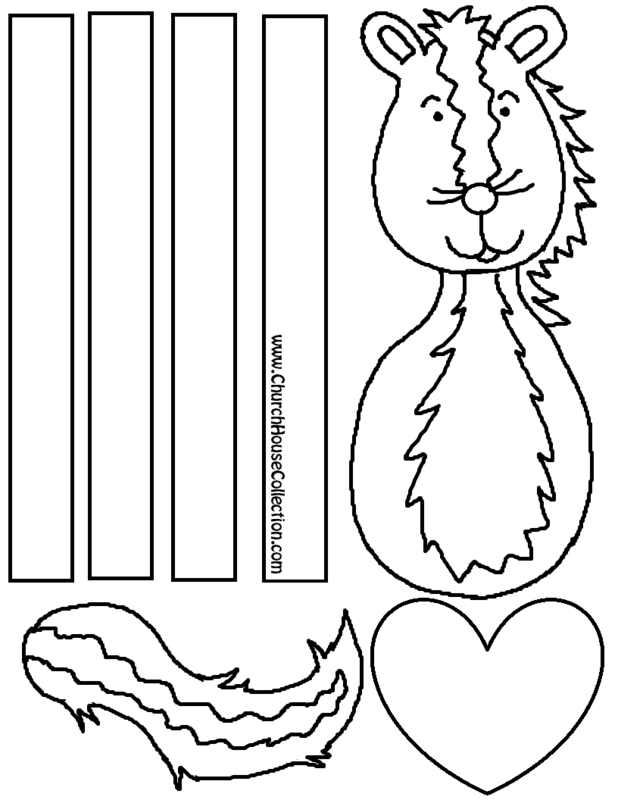 Color the skunk if you printed the black and white one and then cut the pieces out. There is 2 arms, 2 legs, 1 heart, 1 tail, and 1 body. Cut the skunk's arms and legs out and fold them accordion style back and forth to make crinkle legs and arms. Tape the arms and legs on to the body of the skunk. Then cut the heart out and tape the arms holding the heart. Then tape the skunk's tail to the back of the skunk. And that's it.